Captivating audiences of all ages for two centuries, the spectacle of the circus has also inspired visual artists to capture the sensational experience that transcends language and nationality. Animals, acrobats, clowns, and enthralled spectators are all depicted in their graceful, comedic, and death-defying glory through diverse media by internationally renowned artists such as Cindy Sherman, Edgar Britton, and Walt Kuhn, and – featured in the center ring – the shimmering series Le Cirque by Marc Chagall. Meet artist Stephen Batura and tour his exhibition, A Reservoir of Occurrences. Learn about his paintings, which are based on historical Denver photographs, as he leads the group through the galleries. 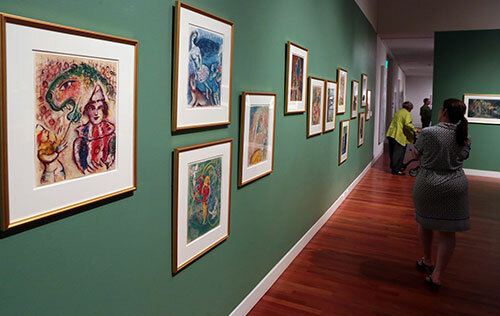 Also on this month’s tour, learn more about artist Marc Chagall, whose series Le Cirque is currently on display in the exhibition Under the Big Top. No RSVP needed, check in at the front desk. All members of the Fine Arts Center are welcome to join us for our Monthly Members Tour, held on the 1st Saturday of each month at 12 noon. Each tour (lasting approximately 1 hour) will feature a different topic, so feel free to come back often and continue learning about the FAC. 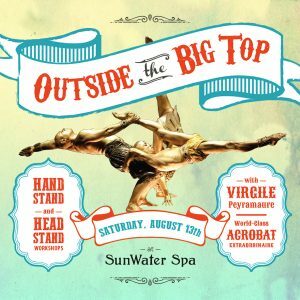 This Hand Stand and Head Stand Workshop, presented by SunWater Spa, is taught by world-champion acrobat Virgile Peyramaure, and is an extension of the FAC’s special exhibition, Under the Big Top. Perfect for dancers, burlesque artists, martial artists, gymnasts, circus artists, yogis, parkour athletes and more — with beginner and advanced classes offered. 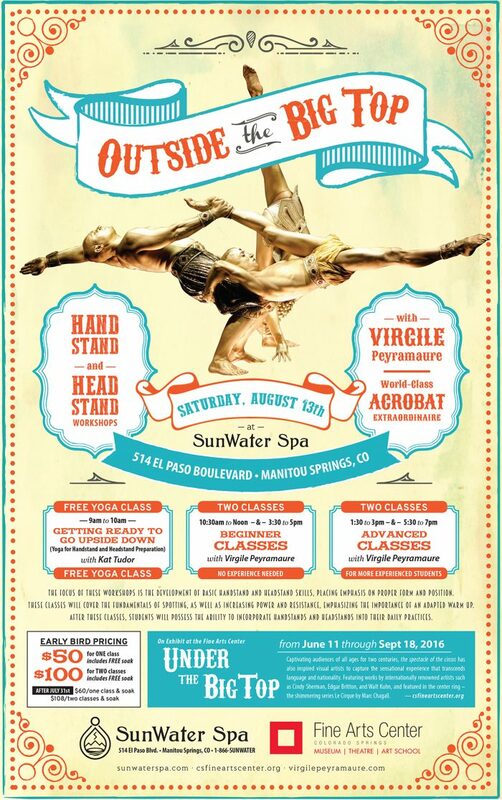 Don’t miss this rare opportunity to learn from one of the world’s best circus artists!